Published on Sunday, September 14, 2014. This article appears in the October/November 2014 issue of American Craft Magazine. Pennsylvania-born artist and gallery owner Ivan Barnett grew up in the craft movement, his own trajectory paralleling that of the movement itself. He has watched it change over the past 40 years. 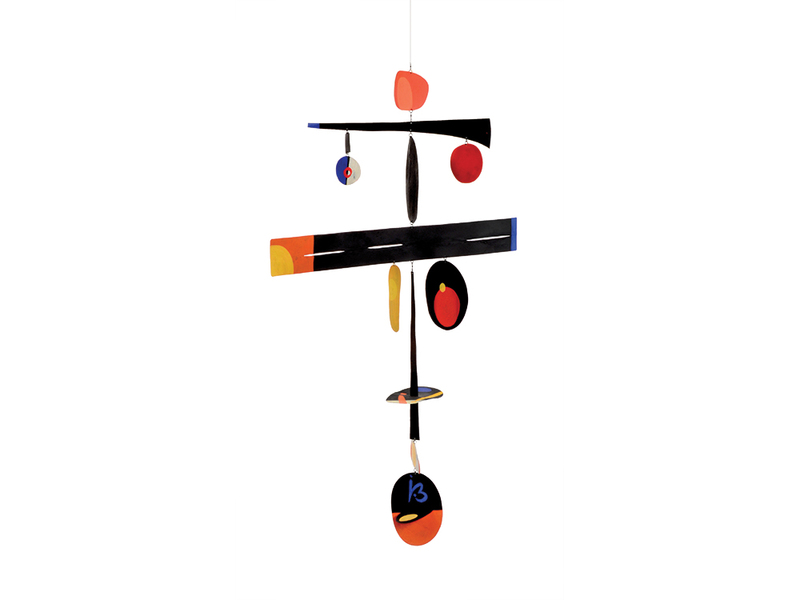 Barnett the artist creates wall sculptures and contemporary mobiles in oxidized steel, with strong abstract shapes and negative spaces reflecting aesthetic inspiration from Asia and elsewhere around the world. 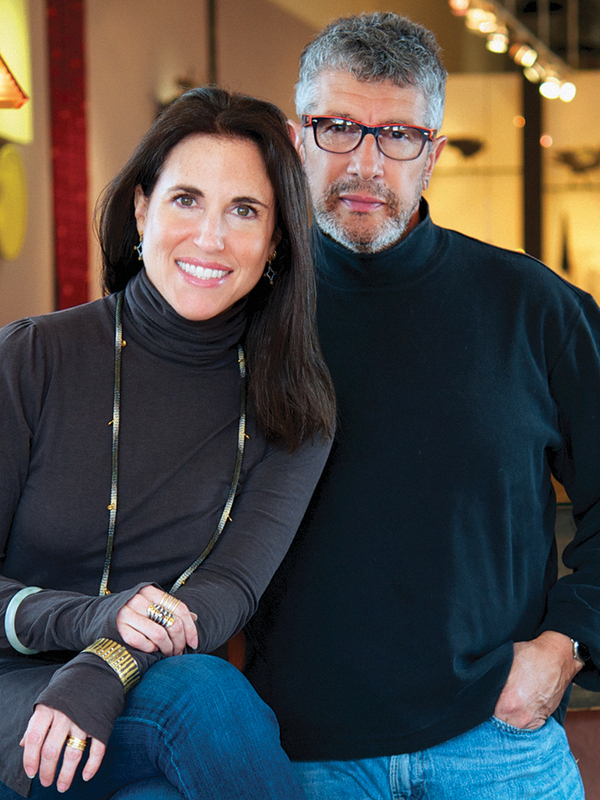 For the past 15 years he and his wife, Allison Buchsbaum Barnett, have owned and operated Patina Gallery in Santa Fe, specializing in studio jewelry, while also presenting works in clay, wood, fiber, and mixed media. 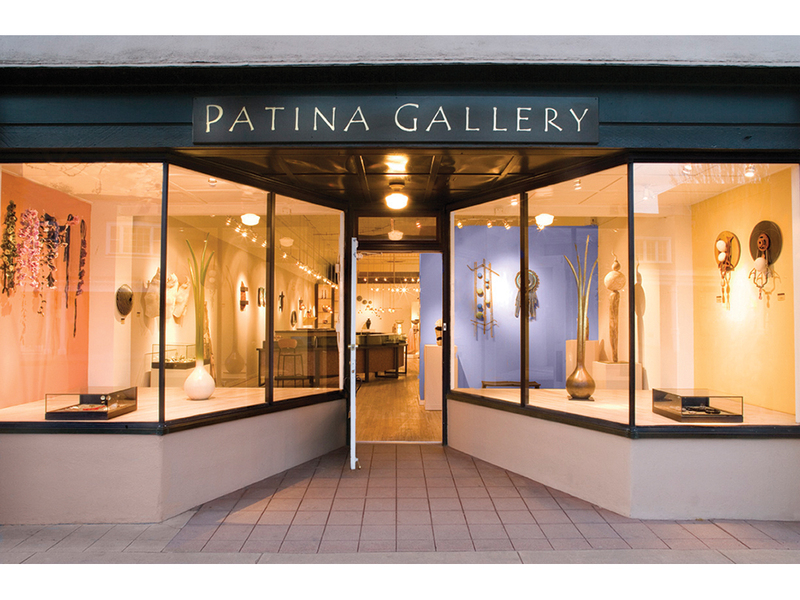 How has Santa Fe’s fine craft gallery scene changed since you opened Patina in 1999? What is required now in the contemporary craft business, as in all global business, is extraordinary sophistication. 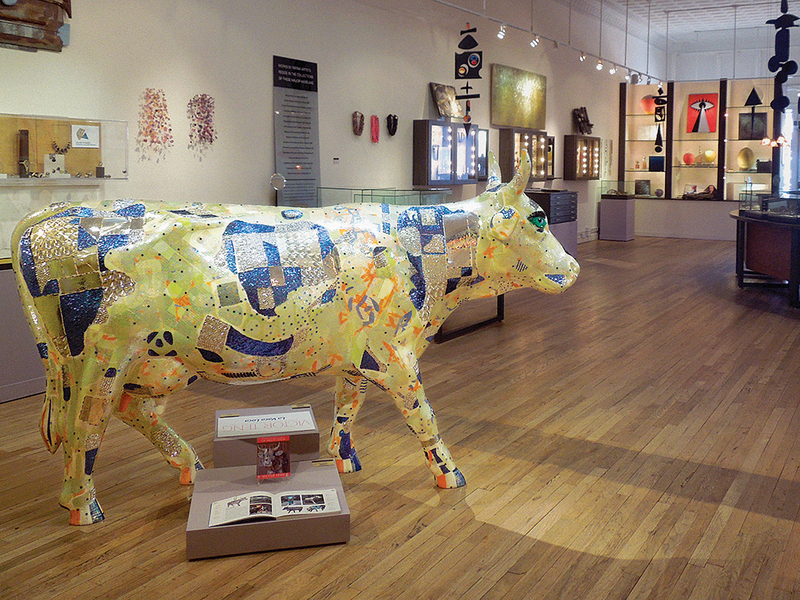 As a result, the craft gallery scene has become more specialized in Santa Fe, and there are fewer galleries in the mix. When Patina opened, there were at least eight strong craft-focused galleries here. Now there are three or four. What has allowed Patina to continue and thrive, especially after the business climate shifted in 2008? First and foremost, Patina chose to survive, knowing that we had something deeply important to save. Second, we dug so deeply into our business skill sets that it made our teeth hurt for more than two years, day in and day out; we talked to advisors, mentors, accountants, therapists, you name it. It was a marathon and still is. A plan was eventually hatched, and it’s the standard we live by every day at Patina: to always be the best, expect the best, ask for the best, and most importantly, offer only the best. You’ve said you run the gallery on a “little big business” model. What does that mean? In 1980 I began to study business strategies using a range of instruments, mostly the Wall Street Journal. Authors like Tom Peters and Peter Drucker became regular reading for me. Seth Godin happens to be the most profound in terms of the economy’s “new normal.” I continue to seek ways to adapt the latest cutting-edge ideas to my small studio business practices. Patina’s business model operates somewhat like a Fortune 500 company. Each individual staff member is a spec-ialist and is considered a department – for example, new media (internet, web tracking, and all forms of social media) and community partnerships/ special events. The various departments are overseen by two full-time managers, an arrangement that allows us to pursue special in- and out-of-gallery events, philanthropic endeavors, community partnerships, and relationships with new artists. How do you connect with young craft lovers as well as more mature collectors? We continually maintain an atmosphere of fun and wonder in everything Patina does. If it’s not fun for us, it won’t be fun for the visitor. Having young people on our team is part of that strategy. By touching as many of the senses as possible, in the gallery and online, we deliver what we refer to as a “soul-stirring” experience. This entails special music, touchable surfaces, and of course, great engagement with our staff. We find, time and again, that the return visitor is coming back not just for the art, but also for the whole visceral experience. How do you decide which art and artists to represent? We ask ourselves three questions: Do we love it? Does it have “soul”? Is it the best in the world? How are you celebrating Patina’s 15th anniversary this year? We’re working on a “Patina-style” coffee table book, to be released sometime next year. Gussie Fauntleroy is a Colorado-based writer who contributes regularly to national and regional publications on art, architecture, and design.